I am yet again playing post catch-up so here is another edition of Triumph or Tacky! This time I am going to report back on reactions to my Week 12 challenge colour blocking outfit. 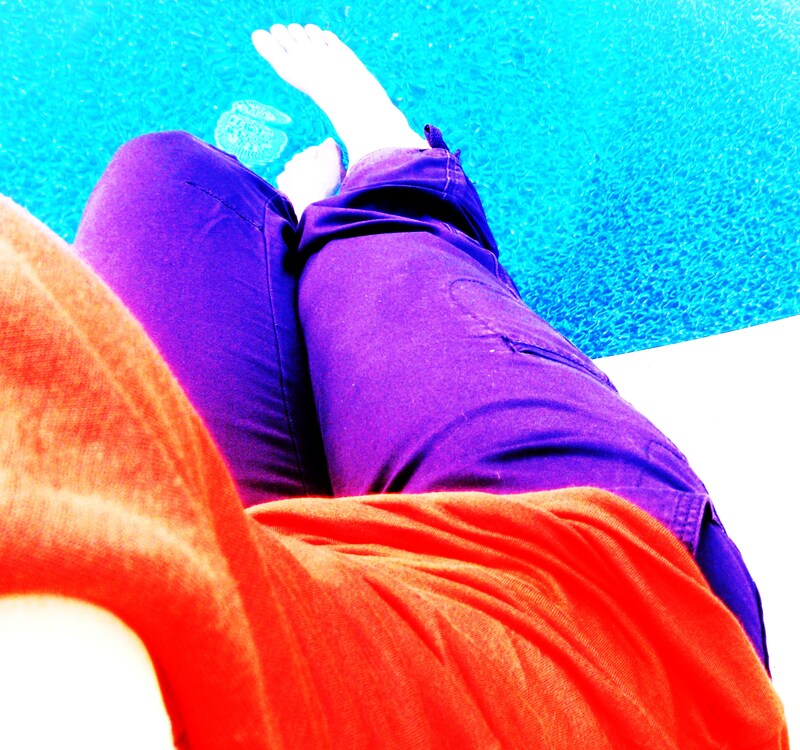 I finally got a chance to wear the shirt and capris to a BBQ at my parent’s place last weekend and it seemed (to me) like the perfect outfit for a bright almost-summer evening in the backyard lounging by the pool! Although I think that the outfit is really fun and very summery I’m not sure that everyone agrees. My Dad raised his eyebrows and murmured something about me joining the circus or marching in a parade (I’ll ignore that I heard that last remark) and my Mom gave me one of those “Well, I guess that you can get away with bright colours in the summer…” comments. My husband was much more blunt telling me that he doesn’t like the capris at all “Because they’re purple” but he does like the shirt (orange just happens to be one of his favourite colours though). For now I’m just going to pretend that everyone (family excluded) loved it, lol! Results post tomorrow, stay tuned!